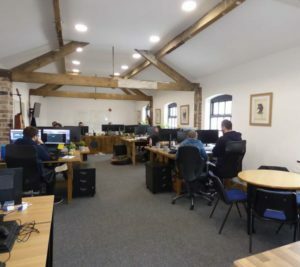 Owing to the amazing growth of Digital Balance during their time at Phoenix they have had to find larger premises elsewhere and will be moving shortly. We are really sorry to see them go but sincerely wish them a continuing successful future and are very sorry we weren’t able to meet their requirement for additional space at the moment. Below are details of their unit. If you have any interest please contact us or the agents. 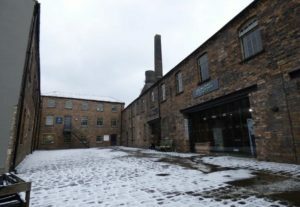 Phoenix Works was built in 1881 by Thomas Forester. 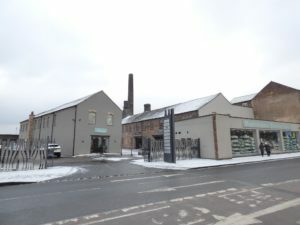 More recently, a major renovation scheme to accommodate a diverse range of business enterprises has taken place and is continually expanding. 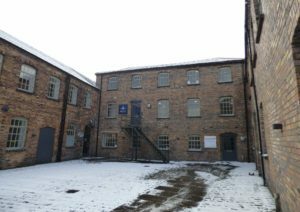 This unit has 1,200 sq ft of quality first and second floor offices with parking, located on Phoenix Works. 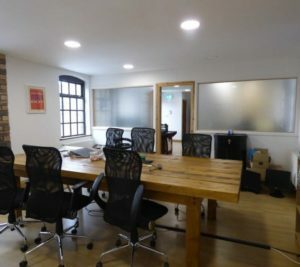 Phoenix House is a three storey office building located within a cobbled court yard and surrounding retail occupiers and The Glost House cafe bar. An excellent and vibrant business location. 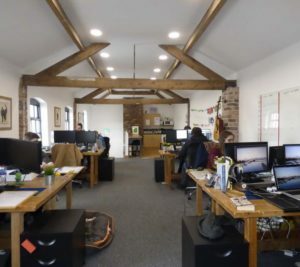 Phoenix Works is situated on the busy main road of King Street with a Tesco Extra, Matalan, Argos and Next in the immediate vicinity which makes for an exciting and convenient location . Geographically Stoke-on-Trent is midway between Birmingham, Manchester, Derby and Chester with the four midlands airports making it an ideal location. 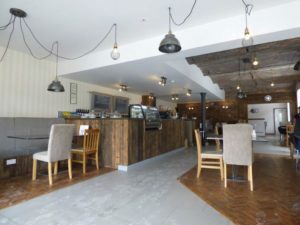 Phoenix Works is a refurbishment of former pottery works now housing a range of occupiers including The Glost House Cafe Bar (ranked number 1 venue in Longton on Tripadvisor) offering businesses accommodation in keeping with the local heritage. 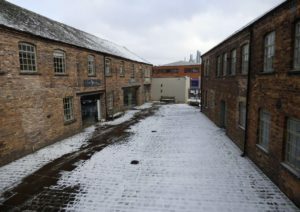 Phoenix House is located through the cobbled court yard passing the cafe and retail units, with their full glazed frontages. An external staircase leads to the first floor office reception catering for two / three persons, behind which is the boardroom. There is a partitioned kitchenette area and access to toilet with shower facility and separate disabled w.c. 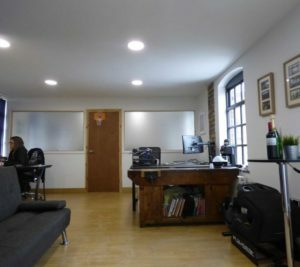 The second floor consists of one open plan office area with kitchenette, exposed beams and brickwork. Benefits include: LED lighting throughout. Full central heating throughout, Intruder and fire alarm. There is adequate visitor car parking on site with two parking spaces allocated for staff with the offices. All mains services are available subject to any reconnection which may be necessary. The premises have their own electrical supply. Gas is shared with the ground floor occupier and recharged by the Landlord. Water is connected and recharged. The VOA website advises the rateable value for 2017/18 is £tbc. The Small Business Rate Relief has increased to 100% for businesses with a rateable value of up to £12,000 and a tapered relief for rateable values between £12,000 and £15,000. Bjb recommends interested parties make their own enquiries into the business rate payable any further business rate relief which may be available. Available on a new effective full repairing and insuring Lease, via a service charge, for a term to be agreed. The service charge will cover common area items for the site. As an indication, the service charge relating to common area items is approximately 8% to 10% of the passing rent. The service charge relating to external repairs and maintenance of the building equates to 60% of the total costs. £12,000 (Twelve thousand pounds) per annum exclusive. 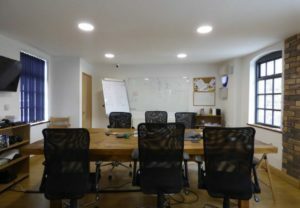 The ingoing tenant is responsible for the landlord’s legal costs in connection with the preparation of the lease. 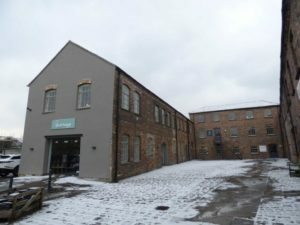 bjb commercial, Head Office, Lake View, Festival Way, Stoke-on-Trent ST1 5BJ. Telephone 01782 212201. Opening hours are 9.00-5.30pm, Monday to Friday. All prices quoted are exclusive of VAT if applicable. Butters John Bee recommends potential occupiers seek independent advice with regard to VAT and property. To comply with Money Laundering Regulations, on acceptance of an offer to Lease, the prospective tenant will be required to provide identification to Butters John Bee. In accordance with the Property Misdescriptions Act (1991) we have prepared these property particulars as a general guide to a broad description of the property. They are not intended to constitute part of an offer or contract. We have not carried out a structural survey and the services, appliances and specific fittings have not been tested. All photographs, measurements, floor plans and distances referred to are given as a guide only and should not be relied upon for the purchase of carpets or any other fixtures or fittings. The copyright of all details, photographs and floorplans remain the possession of bjb.